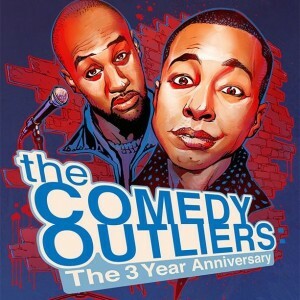 Guest post by Brandon Collins and Mike Brown of Comedy Outliers. They offer advice to comedians, performers and event organizers on how to survive and thrive in today’s competitive artistic climate. Over the past three years, the NY comedy scene has changed significantly. Some comedy clubs have come and gone. Some have opened or reopened to great success. The alternate scene for comedy has also changed. When we first began “Comedy Outliers” in 2012, there were only a handful of independent shows in the city. Now, several shows run in bars and theaters every night in every borough. Some are good, some are poor examples of what stand-up comedy can be. Either way, comics and producers have really stepped it up over the past three years. “Comedy Outliers” has worked on being adaptable and making sure that we’re constantly ahead of the curve. This has presented some challenges, which were even more compounded with our venue issues. Nonetheless, our reputation amongst comedians has never faltered and our audience has always shown up month after month. But even with all of the successes and yes, failures … we’re still here. Three years later. With a popular show born out of a Facebook chat that turned into a showcase featured in the New York Comedy Festival and The New York Times. We learned to take a moment to reflect on past achievements in order to set goals for the future. We’re thinking about expansion, improving our current products (new and improved CO podcast coming soon) and potentially taking the show on tour. Once you realize you can achieve the goals you set out for yourself, the possibilities are endless. Hope ya’ll continue to rock with us as we begin year four. A note for New Yorkers: Go out and celebrate three years of Comedy Outliers at Lilly O’Briens (18 Murray Street) on Saturday, February 28th at 7PM. The show has a $15 cover with no drink minimum. Pay only $10 if you purchase tickets in advance. You can also support their efforts by donating on their website or listening to their weekly podcast. Tags: Brandon Collins, Stand Up.